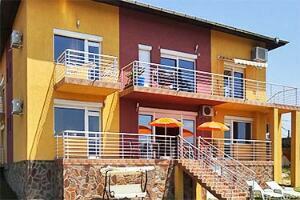 B&B Struma Dolinata is a cosy bed and breakfast located in a village in the southwestern of Bulgaria. Each room of this B&B has free Wi-Fi, airconditioning, a refrigerator, a flat-screen TV and a private bathroom including a toilet, shower cabin and a hairdryer. The rooms also have shutters and a balcony which offers a stunning view on the valley of the Struma. There is a free private parking.